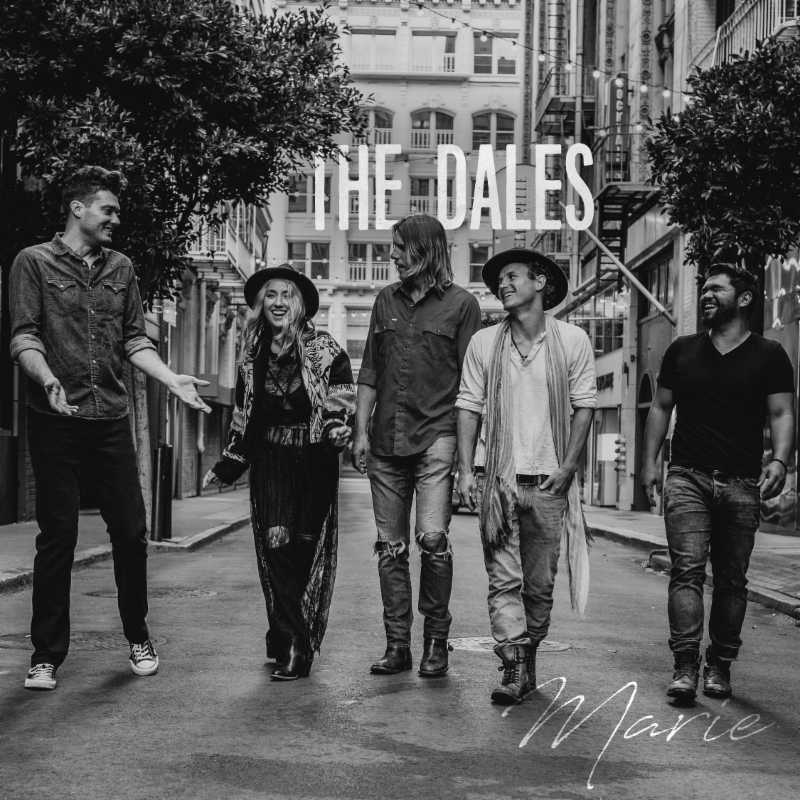 Mike Ragogna: Kyle, what are your thoughts about your new album with The Dales, Marie? Kyle Vanes: I think I can speak for all of us and say that we are very proud of our life-inspired debut album, Marie. We dumped our hearts, our souls, and a lot of raw emotion into creating this piece of art. MR: Kyle, the album is named after your girlfriend Heather, using her middle name “Marie,” who passed in 2015 from breast cancer. The group is donating some of Marie’s sales to Stand Up To Cancer, an entity set-up to connect women with earlier treatment. What are your thoughts on breast cancer and how we’re addressing it nationally? Do you have any stories about Marie or your time together that you can share? KV: I didn’t know a lot about breast cancer in particular before I met and started dating Heather. Walking side by side with her to doctors appointments, extended hospital, etc., you can’t help but to learn a lot. When I met Heather she had stage 4 breast cancer which means it had spread to other parts of her body. Cancer, in general, can be a very scary thing, but I believe there are tremendous strides being made in cancer research–especially in immunotherapy, which I have always felt to be very promising. It is my hope that we, The Dales, can play a small part to help continue to push the boundaries on cancer research. MR: Many of the songs on the album, especially “Marie,” directly address deep feelings. Can you share how other songs relate to the journey the band took with this project? KV: “Coals of Fire” is one that speaks to rising up and climbing out of the hollows to find that inspiring light that has dimmed because of tragedy. MR: Your airplay hit, “Still The Love,” is pretty hopeful. Actually, the spirit of the album seems more joyous than mournful though it does explore darker feelings. How did the band get through the recording process and was their a conscious decision to take a positive approach with the album’s collected recordings? KV: We all carried each other through the recording process, along with Coors light, wine and Taco Time! We don’t ever take a calculated approach to songwriting. We write when we are inspired but I think naturally as a collective unit we try to shine a light even through dark circumstance. MR: How did working with Jerry Streeter bring out what was needed to be communicated creatively for Marie? What was his reaction to the kind of project you all were about to record and how did he come along with the band through the process? KV: Jerry is absolutely incredible, such a special talent. Jerry really resonated with the music and suggested the name of the album, which is Heather’s middle name and the last song on the album. He said that he didn’t believe we would be a band, have some of the material for the album and certainly wouldn’t be at Bear Creek Studio with him if it weren’t for Heather. MR: Are there any songs on the album that resonate with you at this particular time over others? KV: I love all the songs, but for me, “Still The Love” will always resonate on a very deep level. Feeling as though the words came through me from Heather, reminding me or anyone who has ever lost deeply that, yes their physical presence is gone and the pain cuts immensely deep but the one constant that will always remain is the love. MR: Was it hard getting through the recording process because of the subject matter? KV: There were moments for me personally that were very tough. I don’t play or sing on “Still the Love” so I was listening as Drew, Preston and Carrie were singing. I remember feeling the intensity as tears rolled down from my eyes to the floor. After it was over, I distinctly remember Carrie walking in and giving me a long hug as I was crying. The last take of the song felt very magical to all of us. MR: Has recording a project as intensely themed as Marie changed the band in how it approaches its creative process? How about personally? KV: I don’t think it has changed how the band approaches the creative process. All of the songs are life-inspired and hold a specific meaning. Not all of them are about Heather or the loss of her. Drew wrote some incredible songs about his wife and other parts of his life. But one thing about the songs on the album is, collectively, they all came from a real place. MR: Okay, back to the first question. Considering what was said in this discussion, any further or evolving thoughts about the new album? KV: We are excited for people to hear it and hope people find a significant amount of inspiration from it! KV: To be true to themselves, write from the heart, and be absolutely relentless with your work ethic and steadfast in your commitment. MR: What’s next for the band? How can fans and listeners help with Stand Up To Cancer? KV: We embark on a national tour on July 20th kicking off in Boston. First and foremost I would encourage anyone and everyone to learn more about this incredible organization that was founded by a group of powerhouse women. These women and their science teams are boldly pushing the boundaries on cancer research.